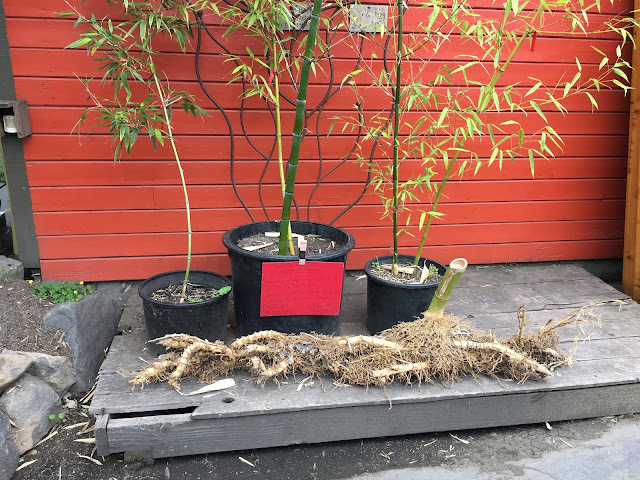 I've posted in years past about our bamboo experiences at Longview Ranch. We have a history and a love-hate relationship with several of the varieties. Visiting The Bamboo Craftsman in Kenton yesterday, I marveled at the array of beautiful bamboos, including some stately and massive timber bamboo (Bambusa oldhamii) planted on site. 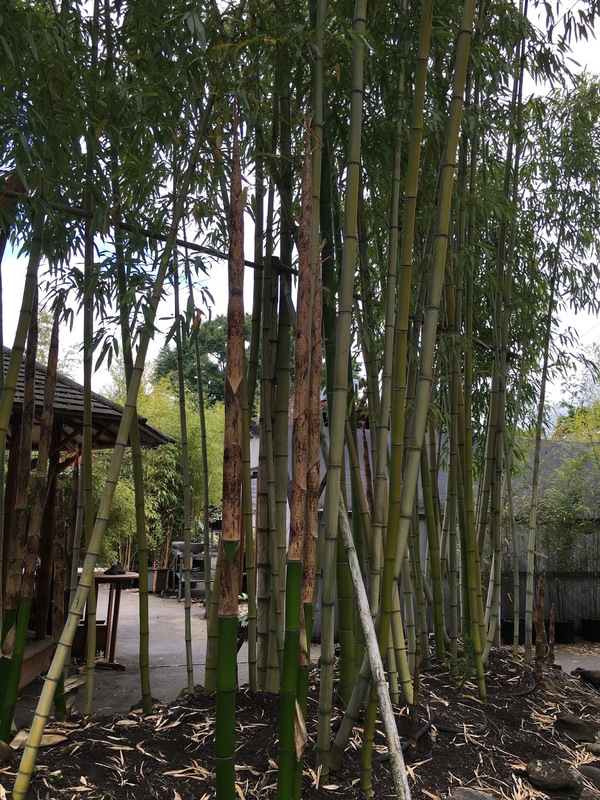 They're a bit hard to see in the picture below, but the astounding new culms of the timber bamboo were well over my head at about 8 feet tall, and still had hardly lost any of their sheaths. Further along, I came upon this display. Not only is that root huge, it would probably still grow if it was planted in the ground again. Check out other Wednesday Vignettes at Flutter and Hum today.